I believe people can share the different cultural values if they respect each other. However, unfortunately, Japan has the neighbor whose every nation has culturally psychopathic personality, Korea.Their personality focuses on insulting, aggressively attacking, and harshly discriminating the Japanese in order to keep getting the money from Japan by threatening it in megalomaniac ways. Nowadays, the North Korea and South Korea are ready to fight throughout their coward cold war more than half century. The United State has been bravely standing in between them for the peace in the East Asia region. Unfortunately, one of the U.S city, Boston, was attacked by the suspicious bombs on April 16, 2013. 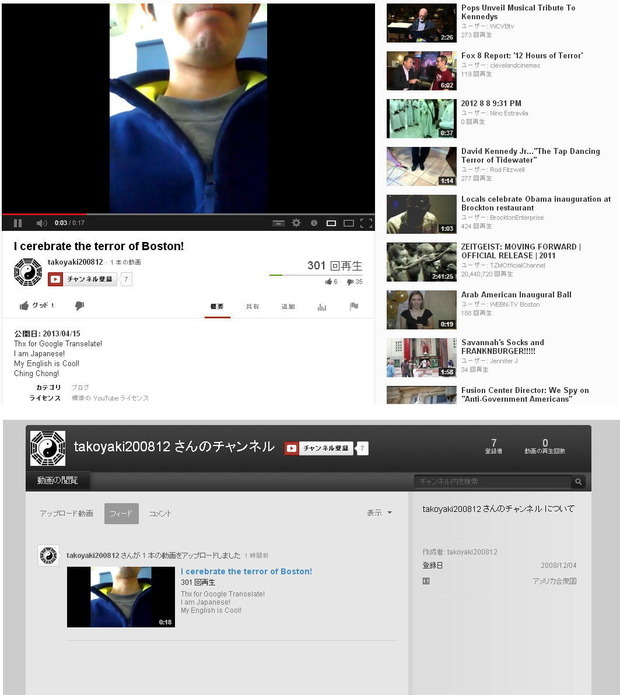 A hour later of the sad incident, the Korean posted his video on youtube titled, "I celebrate the terror of Boston." 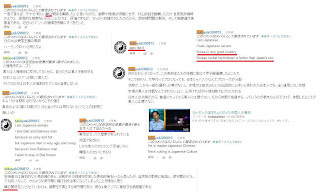 He introduce himself as the Japanese, devilishly celebrate the terror attack in Boston, and claimed against the U.S military to leave the U.S navy base in Okinawa on his youtube video. 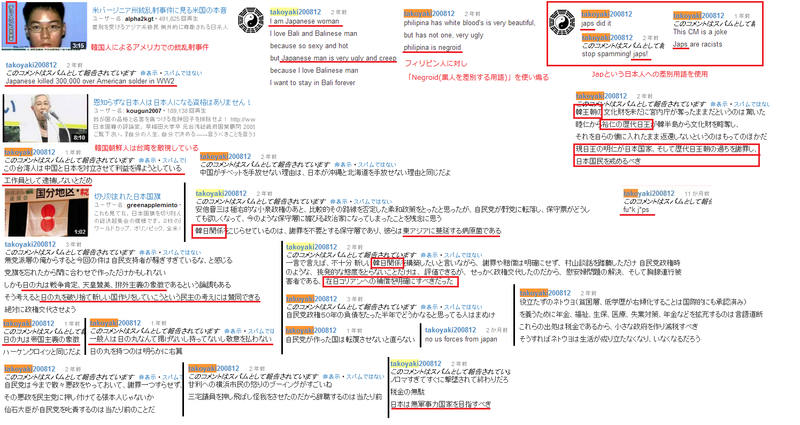 The pictures that I uploaded above tells that he is the Korean who is always against the Japanese, discriminate them, and wish them to be terminated as the Korean. 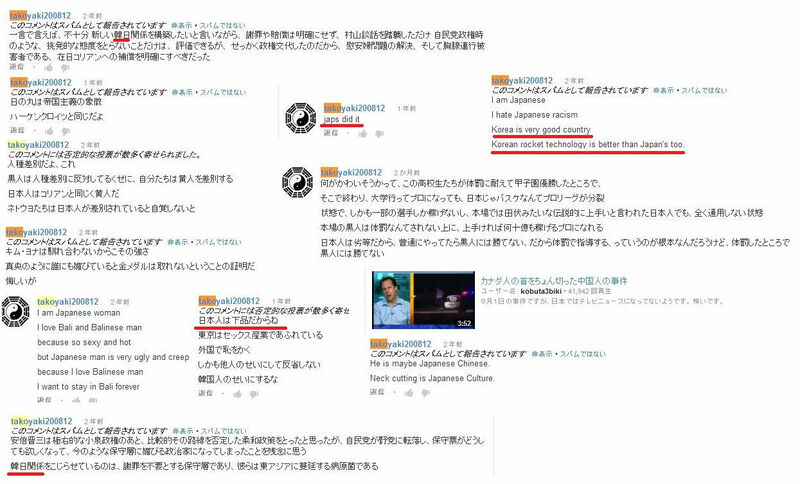 In fact, he pretended to be the Japanese to manipulate many other nations to misunderstand what the Japanese cultural perspective. I should say in a harsh way that all the Korean are nationally retarded. 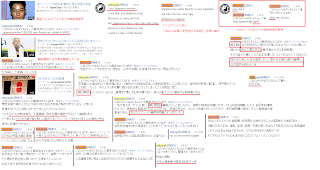 I strongly wonder why the Japanese government still want to keep the international relationship with this psychopathically megalomaniac country.